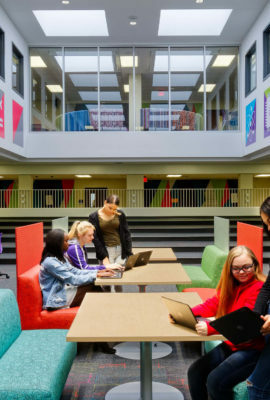 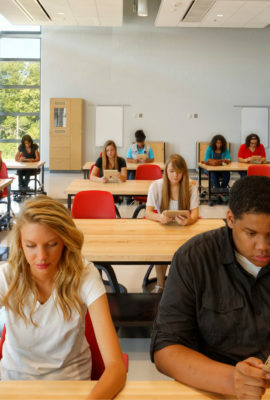 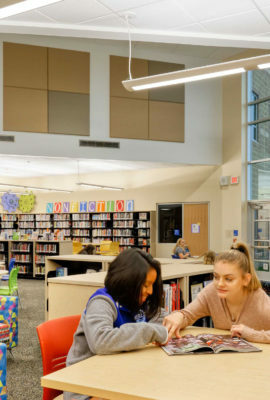 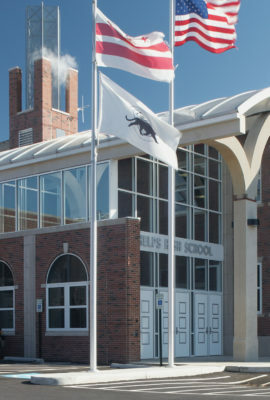 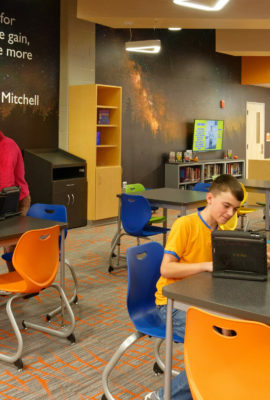 The new Urbana High School replaces an 88-year-old school with a future-ready one, providing students with personalized learning environments and integrated technology. 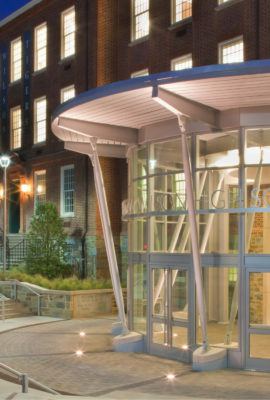 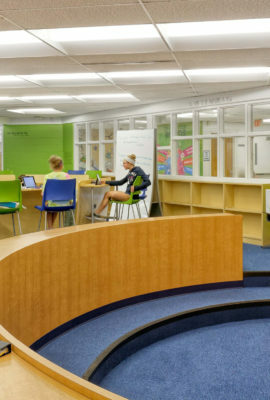 The new school consists of a two-story academic wing containing two flexible learning studios on each floor which are surrounded by classrooms for accessibility. 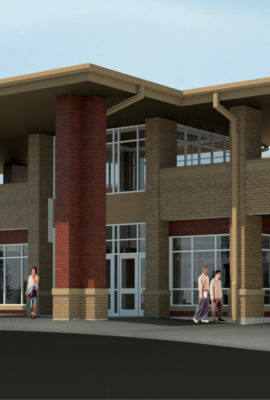 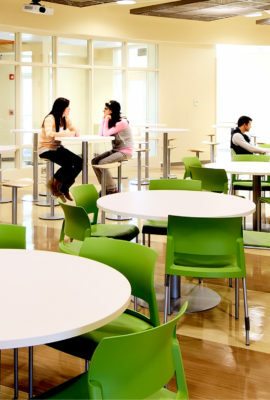 The building features an agricultural education lab, a centralized information commons and a student dining area that functions as a commons during athletic events. 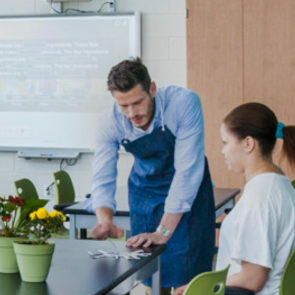 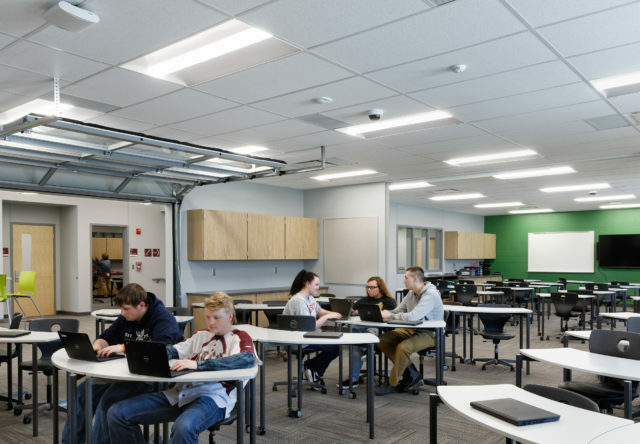 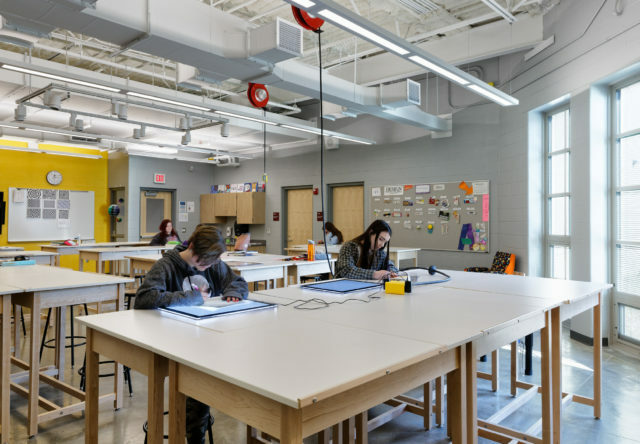 Classrooms surrounding learning studios feature operable walls that allow the environment to be reconfigured to support different learning activities. 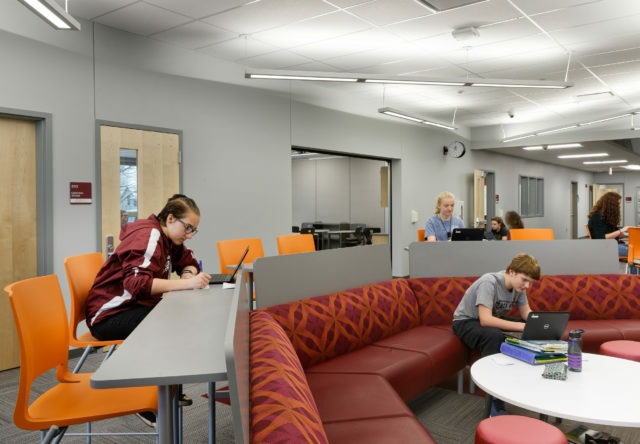 Learning studios are easily accessible and popular destinations for collaboration. 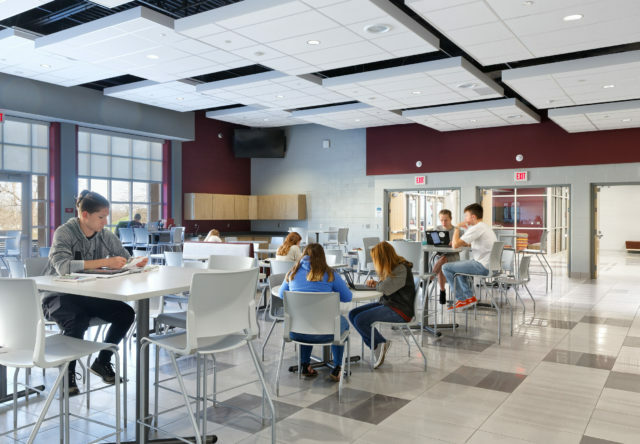 The café-style dining commons reinforces the school’s philosophy that every space should be a learning space. 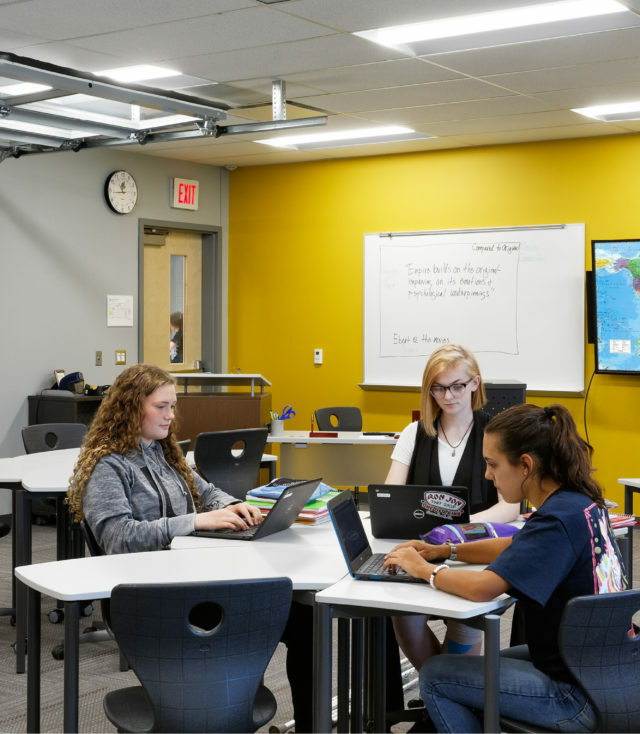 Specialized classrooms support hands-on learning and integrated technology. 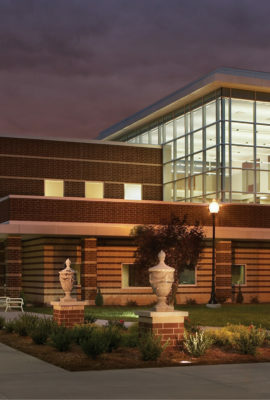 The assistance of (Fanning Howey) was invaluable in creating a vision for the future of schools in Urbana.